Its scheduled from 11-13 December 2018 at Karachi Expo Centre is being organized by full UFI member of the Global Association of Exhibition Industry (Paris – France), Ecommerce Gateway Pakistan (Pvt.) Ltd. with an aim to focus on the immense potential of the Building and Construction Industry in Pakistan. The Event also incorporates Coating Expo, Furniture Asia, Property Asia & Stonefair Asia International Exhibitions. 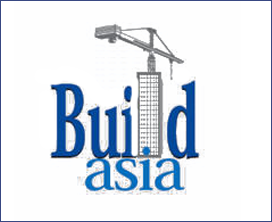 Build Asia will also feature the most comprehensive array of Conferences to provide a networking platform for engineers, contractors, builders, consultants, government officials, bankers, policy makers, stakeholders, other practitioners & professionals of Housing & Construction Industry. Build Asia housing & building construction material & machinery exhibition and conferences will display latest Technological Advancements of Equipments, Materials, Services and Techniques in the related fields, providing opportunities to Overseas Exhibitors to interact with entrepreneurs in Pakistan for joint ventures, transfer of technologies and appointing Agents / Distributors / Partners. The Build Asia Exhibition incorporating Property Asia, Furniture Asia and Stonefair Asia Exhibitions will be one of the most promising and enduring exhibitions at Karachi Expo Centre. Build Asia will offer the International and Pakistani business community a strategic launch-pad to access the vibrant Pakistani, Afghanistani, Chinese, Middle East and Central Asian Republic Markets. The Event aims to focus on the immense potential of the Building and Construction Industry in Pakistan and will display latest Technological Advancements of Equipments, Materials, Services and Techniques in the related fields, providing opportunities to Overseas Exhibitors to interact with local entrepreneurs for joint ventures, transfer of technologies and appointing Agents / Distributors / Partners. Marble Quarrying & Finishing Machinery Mfrs.